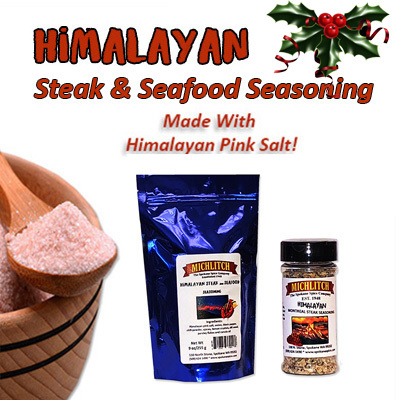 Made with Himalayan Pink Salt with just the correct blend of herbs and spices to enhance the flavors of your meat and fish. We created this blend special for seafood but, wait until you taste how it adds joy to your meats and vegetables! Use as your marinade, with your marinade, or even in place of your marinade. 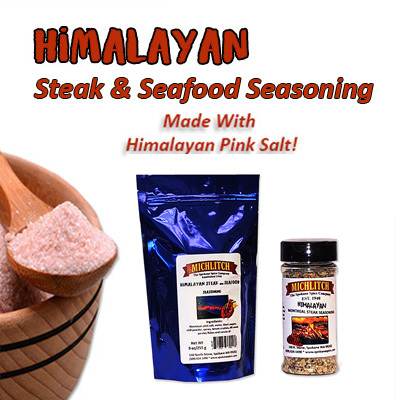 Pink Himalayan salt is one of the best-quality salts on the market. It is hand mined in the far reaches of the Himalayan mountains. They are one of the most pristine and untouched places on earth. Himalayan Salt re-mineralizes the body with minerals and trace elements essential to our health and well being.